This Quest mod attempts to recreate the story of the famous thriller "SEVEN". Fully voiced mod. Please read full description. This Quest mod attempts to recreate the story of the famous thriller "SEVEN". In this quest mod you will have to help detectives Somerset and Mills to find a serial killer. The quest starts when you meet detective Somerset standing near a house next to Moriarty's Saloon. This is not an action mod, is more like a detectives mod. You will have to figure out where the murderer will strike by the clues that you will have to find. 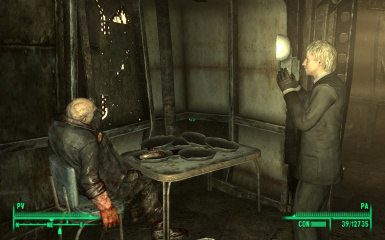 The difficult of the mod depends on how much do you know about Fallout 3. If you are a new in Fallout 3, I think that it will be very hard for you to figure out the hints. If you get stuck, you can PM or post. Both detective are essentials and they will be your companions during the quest, but they are not in your faction, so if you hit them by accident during a fight or kill any inhabitant of any town or city or kill innocent people, they may turn against you. Besides, they are very weak and useless as followers because they werent created for combat, they were created because they play an important role during and at the end of the quest. The mod is fully voiced by me. If you like this mod you can check my other quest mods. My first language is not english, so if my accent annoys you, just delete the sounds folder of "Seven". I just voiced the character because is more envolving when you hear them talk instead of just reading. If any other modder, whos first language is English, likes the mod and consider it deserves to be revoiced, feel free to do it. But remember to credit me as the creator of the mod. 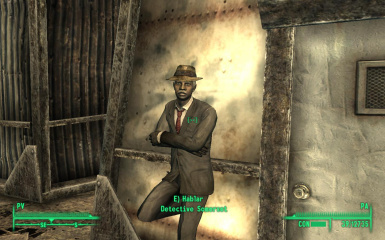 Detective Somerset will always give you a hint to remember you the status of the quest. Please read all the notes you will find to know more about the story. As usual, extract the .rar in your Fallout 3 data folder and check the .esp in your FOMM or in your Fallout 3 Launcher. I've tested the mod several times, if there is any incompatibility that could be because of any mod that uses the same locations I used. I modified some locations slightly and create some new interiors. If you find any bug or error notify me and I will try to fix it.